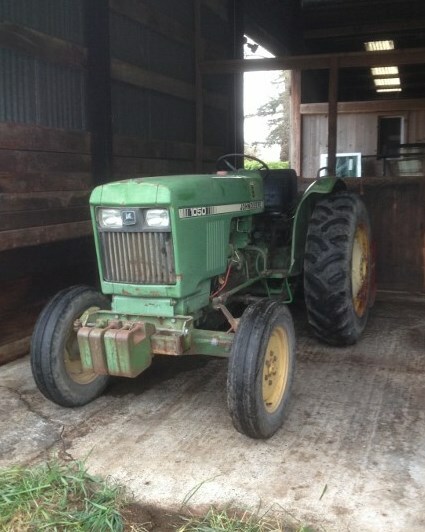 Meet my new tractor! My barn was set up for horses. I took down a wall between two stalls to make one big stall. Now my tractor has a nice place to spend its down time! As a bonus, the wall turned out to be made of sturdy 2″ x 6″ boards…which my dad converted into the frame of my propagation house! Previous Article How did I end up as a Farmer on Camano Island? Ha! You go girl! 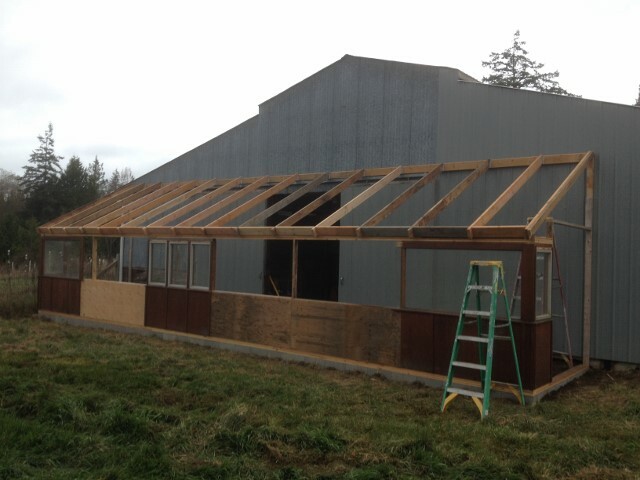 Nice picture of yourself, your tractor, and the framing for the propagation house.